We deliver health and peace of mind through physiotherapy equipment. We will exhibit at HOSPEX Japan 2018. Our “Aqua Venus V-3600” will be displayed on MEDICA 2018. 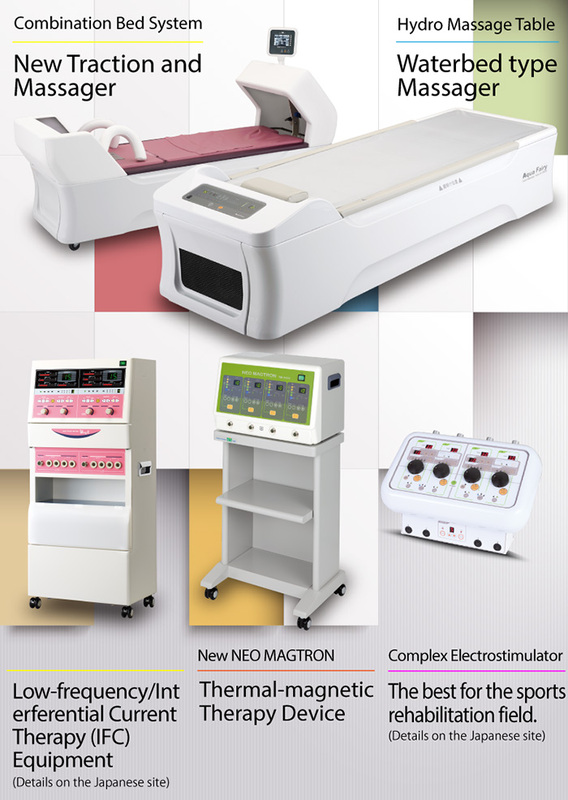 Thank you for coming to FAIR ASIA 2016..
New Symphony and New Neo-Magtron released. COPYRIGHT © 2013 OSHIMA INDUSTRIES Co., Ltd. ALL RIGHT RESERVED.